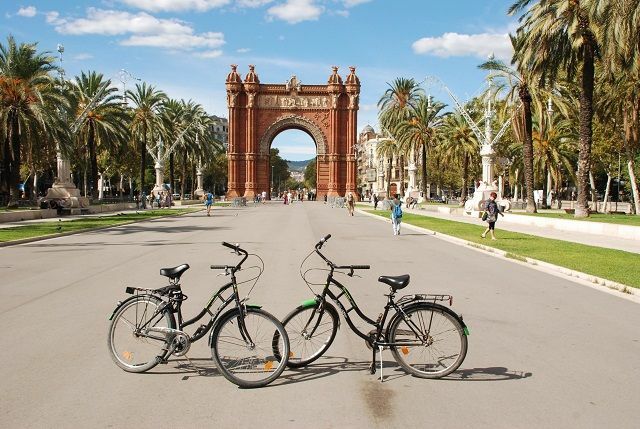 In recent years, Barcelona has become a bike friendly city. thanks to the city’s effort in mantaining and creating new bike routes. But even though the use of personal bikes is very popular, Barcelona it’s still light years behind cities like Berlin or Amsterdam. Bike helmets are required by law, but the practice is not heavily reinforced. Still, it’s recommended to avoid any possible injuries. Biking on sidewalks is allowed in some cases. As long as it’s 5 meters (16 Ft) or wider. However, an officer might stop you and demand that you either walk with your bike or ride it on the street. Remember that pedestrians have priority. If you lone biking whilst listening to music, better use your microphones on pedestrian pathways only. Olympic Port or the beach esplanade for example. Don’t drink alcohol if you plan on taking a bike. Police officers will have no trouble stopping you and asking for an alcohol breath test. If positive, the fine can be substantial, so if you’re drinking it’s better to walk with your bike.